Refinish or Reface? What's the Difference? Refacing and refinishing are two different restoration methods used to improve the appearance of damaged, worn or simply outdated cabinetry. A do-it-yourselfer, or a carpentry or cabinet company crew, disassembles the kitchen cabinets, strips and sands away existing paint or stain and replaces it with new paint or stain in the same or different color scheme. 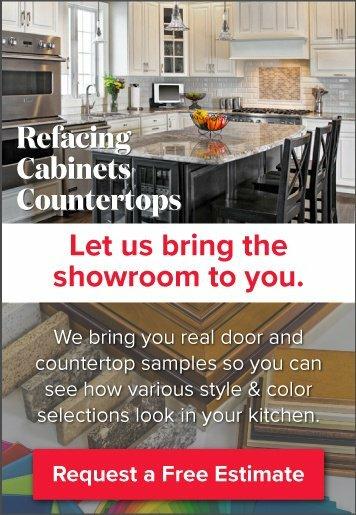 A do-it-yourselfer, or cabinet refacing specialist, removes old doors, false fronts and drawer fronts, attaches veneer made of natural wood or laminate on top of a wood substrate to the frame and then replaces the doors and drawer fronts completely with materials in a matching color. Refinished cabinet surfaces are usually very beautiful at first, but often chip or scratch easily, and can crack or discolor within a few weeks or months of exposure to heat and moisture. Refinishing all of the cabinets again is typically the only solution to repair medium to large cracked or peeling areas, as re-painted or re-stained areas can stand out as flat, bright, overly clean or glossy patches against the rest of a finish aged by light exposure and heat. Refinishing processes often damage wood surfaces. Stripping and sanding removes a thin top layer of wood, as well as softens the wood. With repeated refinishing over time, the wood can become warped or dimpled. Refinishing requires the use of toxic chemicals that release fumes long after the project ends. Refinishing is labor intensive and time consuming. Refacing results in more than a cosmetic change. The refacing process, wood substrate and veneer actually help to reinforce the existing cabinet framework, possibly making it last even longer. Refacing all the cabinets again isn’t required when a section becomes damaged. Instead, a cabinet refacer can often remove and replace the damaged section without leaving any sign of the repair. 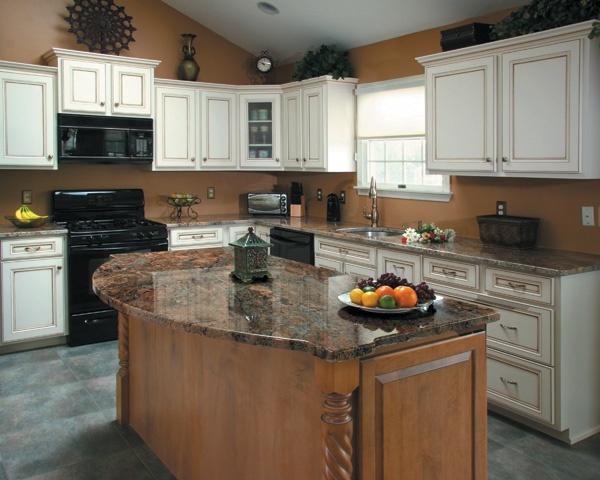 Refacing adhesives typically don’t cause permanent damage to surfaces. Additionally, if adhesive removal is necessary and requires sanding, the cumulative damage to surfaces over time is less than with cabinet refinishing. Refacing adhesive alternatives exist that are odorless and non-toxic. Refacing rarely takes longer than three to five days. Only extreme damage to one or more areas, or the addition of a extra section of cabinets, might require additional time. 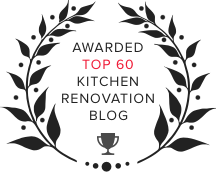 Now that you know the differences between refinishing and refacing, it's time to ask yourself, "Which method will you choose for your next kitchen remodeling project?" If you still have questions about what cabinet refacing entails, check out our video below for a full explanation.